of the person coming forward with evidence. This is actually very common in court rooms and used by lawyers. Its not about justice or fair play instead about who is the better liar and con-artist. was denied by corrupt California Judge David Yaffe. The problem and scam is simple, people report crimes and violations to proper authorities however these same agencies fail to investigate of file the complaints attempting to pretend they never took place. When the public commits crimes they act, however when they or those involved with them commit crimes nothing is done. What happens when Police don’t do the right thing? When you do the right thing, come forward with evidence of crimes and violations of our rights. 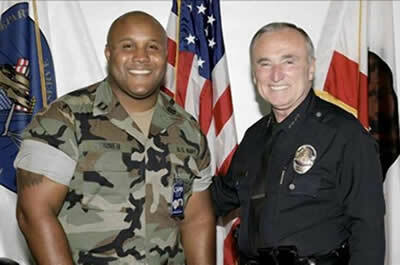 How do people explain police actions of shooting cars and people who had no resemblance to Christopher Dorner or his vehicle.